Discover the many mysteries hidden in the Golden Ark that could lead to potential wins in Ark of Mystery at Vegas Spins. The game designed by Quickspin has 5 reels, 20 Paylines and comes with two interesting features: The Wild Ark Respins and the Multiplier Booster. The game has a similar vibe to movies like Indiana Jones and the Raiders of the Lost Ark, and Tomb Raider. It has an epic background set inside a pyramid with tall pillars, stone walls, stone braziers with fire, and coins scattered everywhere. On the reels, you will find A, K, Q, J, 10, the Adventurer, Eye of Horus, Scarab Beetles, and Ankhs as symbols. To enjoy this epic adventure game, sign up at Vegas Spins for an account. Members can log directly into the game and play. Once you’re done, head to the Total Bet section to adjust the stakes. Play with the arrow icons and choose the bets. You will also find the AUTOPLAY feature by the side of the SPIN button, where you can pre-set the number of spins you would like to use. Finally, click the spin icon to start the game. If you want the reels to spin faster, you will also see that there is a turbo arrow icon by the side of the SPIN button. 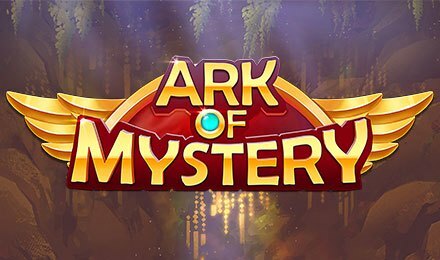 Bet Levels: There are no bet levels in Ark of Mystery slot. Amount of Paylines Selection: The game includes 20 paylines. The Golden Ark represents the Wild and it appears on reels 2 to 4. Once you pick it up, it will replace all other symbols on the reels, bar the Multiple Booster Symbol that appears on reel 5. To unlock this feature, you will need to land a Wild Ark on reels 2, 3, and 4. What happens next, is that the Ark will lock itself to the reel and you are then granted with respins. The Ark replicates itself on an adjacent position on the same reel, and the spins continue until there are no spaces left for replication. You can gather up to 6 spins in this round. The Multiplier Booster is represented by an X pyramid that only appears on reel 5. Each of these symbols will increase the multiplier by 1x, and this will be displayed at the top of the reel 5. There is a possibility of landing up to 21x with the total amount of multipliers in the game.